There has never been a more exciting time in Parkinson’s disease research. At no point in the past has the progress been made at such a frenetic pace. New week, new discoveries. And it has to be said that none of this would be possible without the advocacy and fundraising efforts of groups such as the Michael J Fox foundation, the Cure PD Trust, and Parkinson’s UK. In addition to learning a great deal about the basic science of Parkinson’s disease – a better understanding of the biology underlying the disease – we are also making tremendous gains in new areas of treatment. Until now, the basic treatment has been dopamine replacement with L-dopa. But now, like never before, novel therapeutic approaches are being tested in the clinic. One of these new approaches, however, is based on a very old idea: Vaccination. 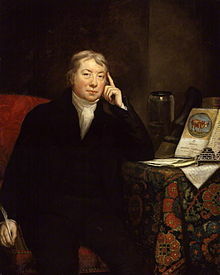 While Edward Jenner is considered to be the pioneer of the world’s first vaccine (for Smallpox), the idea of vaccination/inoculation actually originated in India in 1000 BC, where it was briefly mentioned in Sact’eya Grantham, an Ayurvedic text. The first really credible mention of inoculation, however, was in China where it was described in the book Yuyi cao (寓意草 or Notes on My Judgment) by Yu Chang, published in 1643. The basic idea of vaccination is to deliberately introduce an individual to a small component of a disease-causing agent so that the body can build up an immune response to the disease prior to being attacked by the full disease. That fragment of the disease-causing agent becomes what is known as an an ‘antigen’ (this comes from a French word, antigène, derived from the Greek anti- or “against”, and the word-forming suffix -gen, “thing that produces or causes”), and it will serve as the target for the immune system. In response to the antigen, the body produces beacons that bind to the antigen for the immune system to look out for – these beacons are called ‘antibodies’, and they tell the immune system that what they have bound to is ‘not of this body – get rid of it’! Vaccines will sometimes be made of an empty virus – the surface of the virus will be present, but the internal disease-causing mechanisms have been destroyed or removed. Think of it as training the immune system for some big event. In this way, by exposing and thus priming the body against a particular part of s disease-causing agent, if the body is ever attacked by the full agent, the immune system will be ready to deal with it. So what does this have to do with Parkinson’s disease? In July of 2014, a small Austrian company called “AFFiRiS” announced the results of one of their first clinical trials for Parkinson’s disease. The AFFiRiS drug (called PD01A in the AFF008 trial) is an vaccine that targets the Parkinson’s disease-related protein ‘Alpha-synuclein’. The vaccine causes the body to produce Alpha-synuclein-specific antibodies. These antibodies allow the immune system to then attack and remove this protein from the blood and fluid surrounding the brain. Any loose alpha-synuclein floating around should be removed. Alpha-synuclein is a very common protein in the brain – it makes up about 1% of the material in neurons. 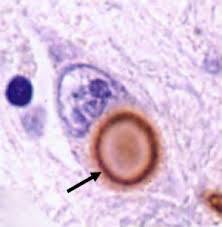 It is also one of the proteins that is present in the ‘Lewy bodies’ that are associated with Parkinson’s disease. Lewy bodies are one of the defining characteristic features of the Parkinsonian brain (having said that, it is interesting to note that approx. 30% of the population over the age of 70 will have Lewy bodies but no clinical symptoms/problems). They are densely packed, spherical shaped, clusters of protein inside the cell body. We are not entirely sure if they are causing cells to die, but they should not be there so it is assumed that if we get rid of them, the cells will be healthier. 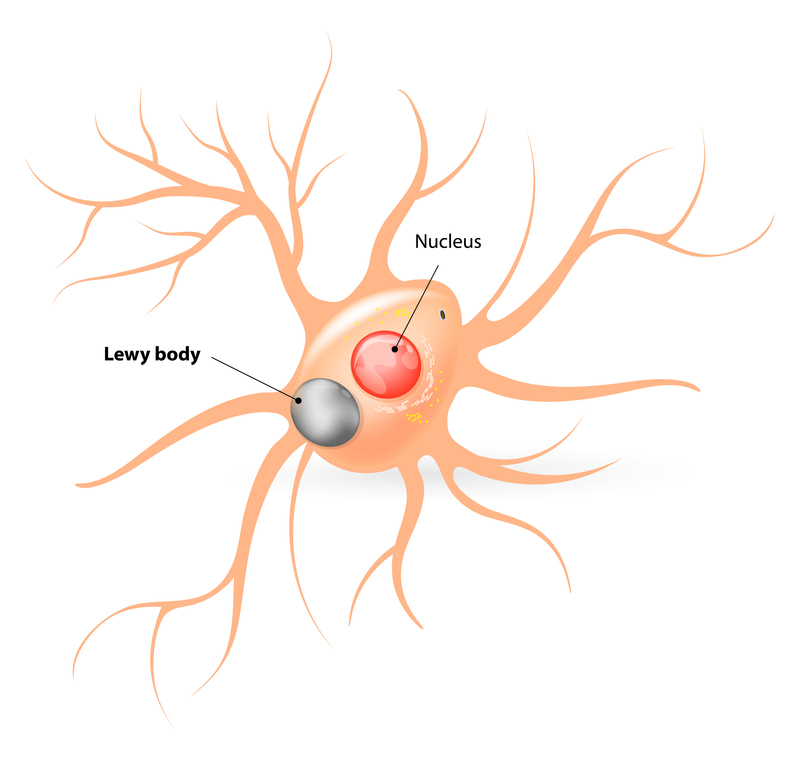 Given that Alpha-synuclein is one of the major components of Lewy bodies, it is the first protein to be targeted by a vaccine for Parkinson’s disease. Some researchers believe that the passing of Alpha synuclein from one cell to another may be the mechanism by which the disease spreads. By removing any Alpha-synuclein that floating around outside of cells, companies like Affiris hope that they will be able to slow down or even halt the spread of Parkinson’s disease within the brain. The results from the first Affiris trial look rather promising. The phase one trial run by Affiris was very small (just 12 subjects received the vaccine) and lasted only 12 months. The primary endpoint of any phase one trial is ‘safety and tolerability’ – that is to say, the study is a test of whether the drug is ok for humans use and can be well tolerated (e.g. it has no hidden/unknown side effects). Two different doses of the PD01A vaccine were given in the study and both were well tolerated by the participants in the study. The Affiris researchers, however, were also looking at a second endpoint in their trial: whether the vaccine caused Alpha Synuclein-specific antibodies to be produced. Thankfully, Affiris found measurable levels of alpha-synuclein-specific antibodies in serum samples (a component of blood) and cerebrospinal fluid (the liquid surrounding the brain) collected from their participants, suggesting that the vaccine is doing it’s job and causing the immune system to react to the antigen being introduced. 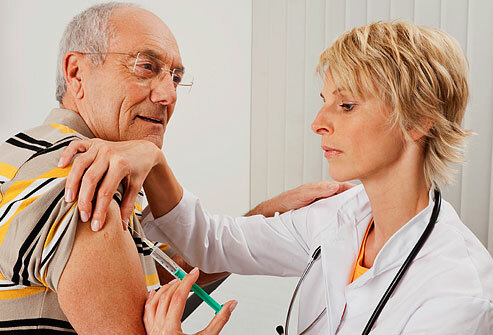 Obviously a larger study is now required to determine if the vaccine will actually slow or halt Parkinson’s disease, but when the Affiris researchers compared the subjects in their first trial that received the vaccine with a group of control subjects at the end of the 12 months, they claim that they found PD01A subjects ‘functionally stabilised compared to the control group’. And Affiris is not the only biotech company trialling the vaccine approach for Parkinson’s disease. In March 2015, an Irish company called ‘Prothena‘ announced that their vaccine reduced Alpha synuclein levels in the serum by 96%! And again the vaccine was well tolerated, with few side effects. 40 subjects were used in the Prothena study and the company will continue to follow them. They expect to release follow-up data – with clinical and imaging results – in early to mid 2016. We will be watching this area of research very closely. Fingers crossed!